In addition to being a strength and conditioning coach I hold a certification in Sports Nutrition as well. To help the athletes I work with, I combine my knowledge from both fields. Together they create synergy making them more powerful and effective than when you really only focus on one aspect. Assuming you have a basic program that includes presses, pulls, and squats in the correct rep ranges, I believe the average athlete will improve more from proper diet management more so than program hopping. I previously wrote a basic diet primer that would be a good read prior to this article helping you to understand why diet is simple yet important. Next, continue reading to get more details on what I think every serious competitor should be eating every day. Humans are omnivores meaning they eat all nutrition sources available to them to get the nutrients they need in their diets. The demands of the athlete’s training increase the need for vitamins, minerals, and nutrients. To synthesize new muscle and repair tissue damage caused by the stress of training, the body needs nitrogen and that is most easily available in animal meats and products. For me there is a hierarchy of protein and I will make sure the primary sources I use are grass fed steak and local pasture raised hen eggs. Grass fed beef is a more natural diet for the cow and the quality of the meat is much higher speaking in terms of nutritional value. It contains higher levels of Omega-3 fatty acids and those are anti inflammatory, providing the heart and cholesterol profile with great support. Additionally, grass fed beef is high in an amino acid called CLA. Typically because of the cow’s diet, they are fed less antibiotics and this is easier on the animal’s system. They are less likely to get E. coli and pass that along to humans, making it less likely for you to get sick eating it. It’s full of iron, creatine, B and E vitamins as well making it a superior choice for the strongman athlete. For men, I recommend up to two pounds a day, and close to a pound for women. If you make just one change to your diet, this is the home run you are looking for. Pasture raised hen eggs are really only available at farmer’s markets or from your friends that have taken the plunge into having their own coop. 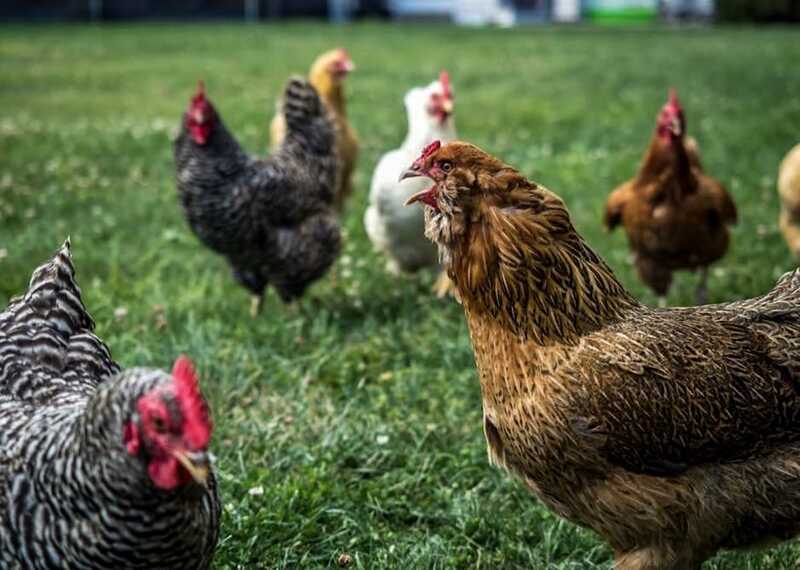 Happy chickens eating worms, meal and running around all day make one of nature’s most powerful foods. Commercially raised eggs are a sad imposter to a “real” egg and you will immediately notice the difference; in the price you pay. Two to three times more per dozen may sound expensive, but you do get what you pay for. These eggs are much higher in vitamin D and studies indicate that low levels can impact performance negatively, while higher levels can act like a performance enhancing drug. The yolk in pasture raised eggs can have a positive effect on your HDLs (or healthy cholesterol). This easily digestible protein will support strenuous training and repair your tissue damage all while making you a healthier athlete. Crack a few for breakfast every day to start your day off positively. Avocado is a great source of slow release energy and vitamin E. In solid form, they make a great compliment to any meal and the oil has a very high flashpoint making it great for cooking. It’s my daily choice for fat that is flexible and delicious. 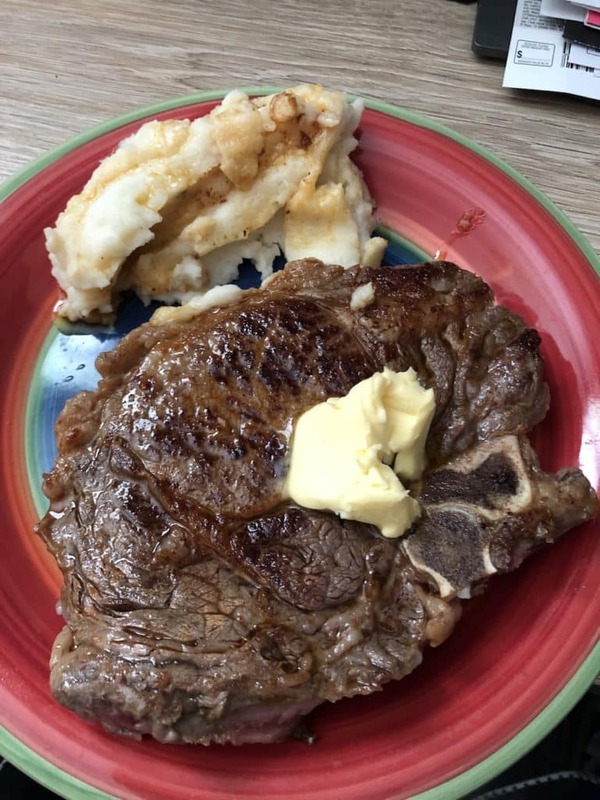 Grass fed butter also makes a great addition to a normally bland diet and provides the calories your body needs to heal and repair. Grass fed butter can lower your risk of heart disease and contains more omega 3’s than traditional butter. When you have your macros figured out and you don’t get enough fat in the steak and eggs you are eating, reach for the grass fed butter. Athletes need carbs, plain and simple. I take in about 100g a day to just make sure my body is getting the support it needs. Processed carbs upset my stomach so I avoid them unless I’m in a social situation. The last thing any athlete needs is a leaky gut when training or competing. Make certain that whatever source you use complements your digestive system. Cooked and cooled potatoes are my absolute favorite, easy to digest carb source. Cold mashed potatoes develop resistant starches that limit how much of them are digested by your system. Research indicates about half of what you consume can be processed into energy. This way I can eat more in volume and have less of an impact on your overall calorie consumption. With some grass fed butter, I don’t even worry about the glycemic index. Fruit is also known as nature’s candy. A great quick energy source with fiber and vitamins is something I eat when I feel the need to add some pre-training carbs. Pears or apples are my primary choices but anything produced in the northern hemisphere is a good option. Enjoy these moderately, because it is easy to over consume and overshoot your macros. Snack. My favorite snack is full fat greek yogurt. This is very high in protein and makes a great mini-meal. The active bacteria in the food can help keep your stomach in a positive state for optimal nutrient absorption. Pre-workout. This misunderstood beverage can help cut the chances of liver disease, heart disease, and diabetes. The world’s most popular pick-me-up is of course coffee. I buy the good stuff, grind it myself and brew it in a french press. About an hour before you train is the best time to drink this amazing life enhancing beverage. I will never understand why people cut this from their diet. Supplements. The only two things I add to my diet are vitamin D and Fish oil. Even living in Florida and getting plenty of time outside, I can not get my vitamin D above the recommended minimum without a concentrated source. Unless I catch it, I rarely eat fish. To make sure I get the benefits associated with it, I use the supplement. While probably not necessary, I do like to cover my Omega 3 bases. A word on diet fads. In my personal opinion, restrictive diets like keto or vegan do not have a place in the athlete’s game. While the competitor is searching for the best way to improve their progress, limiting fuel or protein sources can give them undesirable outcomes. I don’t think hyper restricting carbs or purposely choosing inferior protein sources will not help you reach your goals. Speak with an actual expert and/or your healthcare provider and learn why you should choose the best for your body. The list of the above foods have made up my diet for the last decade. I do eat off this plan, but for the most part I find that giving my body the same things day after day allows it to optimize the way the food is absorbed and digested. Like training, it gets more efficient when eating the same thing consistently. I urge you to try these foods with your current meal plan for a few weeks and see the amazing difference it makes.